Banks are showing thin NIM, yet many of the big banks are able to boast stable if not slightly improving credit metrics. This doesn’t make sense considering the explosive growth of real estate development and prices amid an environment of much slower income growth. When comparing income growth to real estate price and rent growth, an obvious bubble seems to appear. The answer seems to lie in financial engineering. Once the credit metrics of the bank's loan and loan products deteriorate (that is, when the financial alchemy once again fails to turn MBS lead into AAA gold), they will pull back on financing, putting a hard stop brake on inflationary home purchasing, and there goes the bubble pop! There has never been a time in recorded history when US Treasuries have been this inflated in price and this low in yield. These record low rates have created bursts in financial asset appreciation and incomes. But… and there always is a “but”, financial asset price increases have dramatically oustripped increases in incomes. This has, and always will mean… Bubble! This bubble is only 9 years after the peak of the previous property bubble - which banks are still trying to recover from. Amazing! As was the previous bubble, there are pockets of growth that outstrip others, and it’s not uniform across the board. For instance, NYC has condo bubble (from new construction being priced above income growth, yet getting purchased anyway) but single family detached housing hasn’t topped previous bubble highs. Below is an illustrative Veritaseum Smart Contract (the reference client doesn't read Case Shiller tickers) that we are offering as a rebate for the research purchase. You will get 10x the relative price difference of long GLD (gold ETF) vs short S&P Case Shiller 20 City Home Price Index, up to the net capital at risk. This is heady stuff people, and is a perfect way to demonstrate both our superb research and our fantastic, patent-pending smart contract/blockchain technology. I was discussing the US Department of Justice $14B fine levied at Deutsche Bank with my 15 year old son last week. I told him the fine amounted to roughly 70% of Deutsche's market cap, while a similar retroactive tax levy from the EU towards Apple for $14B was about 3% of their cash on hand or a quarter's operating profit. My son said, "Whoah! Waitaminute! I thought Deutsche Bank was a big company like Apple. Didn't you say that they had trillions of euros of assets on their balance sheet?". Over time, the accounting expression of equity diverges significantly from the markets perception of the bank's equity value. Somebody is most assuredly mistaken! As of today, DB's books are carrying equity value at 3x that of the stock market. If one were to use the stock market's equity valuation, one would see that a very, very tiny sliver of equity is controlling nearly 1.5 trillion euro of assets - and that's after the slimming down game is done. Expressed differently, DB is leveaged 97.4x. For those who feel this is an unrealistice way of looking at things, run the same exercise for every failed bank and cross reference the results to that of the European banking regulatory body's methodology of calculating leverage and tell me which methid was (and is) the better predictor of bank failure. 1 Based on current CRR/CRD 4 rules (including amendments with regard to leverage ratio of Commission Delegated Regulation (EU) 2015/62 published in the Official Journal of the European Union on January 17, 2015). 2 Regulatory capital amounts, risk weighted assets and capital ratios are based upon CRR/CRD 4 fully-loaded. Bloomberg reports "Germany Will Rescue Deutsche Bank If Necessary, Allianz Says", but Angela Merkel disagrees as RT reports "Deutsche Bank shares plummet to record low as Merkel rules out bailout". Let's get one thing straight. If the German taxpayer has to bail out DB, the German taxpayer and his/her economy is toast for the near term. If there is no state aid, then the depositors of DB will get wiped. I made this warning crystal clear over the last 30 days in "Deustche Bank and the Anatomy Of A European Bank Run: Look at the Situation BEFORE The Run Occurs" and "Revisiting the Run on Deutsche Bank: Making the Hypothetical Frighteningly Realistic - You've Been Warned!". ZeroHedge and Mish (prominent financial blogs) have queried who has significant exposure to DB and vice versa. Well, the Veritaseum subscription research report on the crumbling European banking system answeres that question. Paying subscribers can reference "Those 'Other' European Banks:The Impact of Rising NPLs". Paying subscribers can also reference "Derivative Risk Exposure of Major Banks to Deustche Bank". The questions are answered in exquitite detail therein. Deutsche Bank is going to need some money, and it's going to need some quite soon. The next two or three articles that I write will focus on why there is such a need. In a concerted effort to reduce or potentially eliminated the risk of taxpayer-funded bailouts of European banks, the EU implemented a new “bail-in” regime beginning on January 1, 2016. As such, new rules require banks and certain systemically significant market participants in EU member states to write-down, cancel, convert into equity or otherwise modify certain unsecured liabilities if such steps are required to recapitalize the institution. What are the most bountiful unsecured liabilities of a bank? Deutsche Bank is trading at 1/4 its book value. Book value is the measure that the street uses to value banks. Unfortunately, boo value is meaningless for banks today, who's books are no longer marked to market, distorted by negative interest rates and transformed by Harry Potter style accounting. It appears as if the market is not going for it. We, at Veritaseum, never did! Here's an example of why oen should heavily discount DB's book value number. Mortgages are one of the, if not the, biggest loan buckets on DB's balance sheet. Five percent of those mortgages are underwater (guaranteed losses). Seventeen percent are over 70% loan-to-value ration. Well, you may be saying to yourself "That's not bank run material". The German housing market is on an absolute tear. One could be tempted to say its a bubble, but the German economy is the strongest in all of Europe, right? It's the engine that powers the EU, right? Well, German home prices have handily outgrown, and continue to do so, German wage growth - by a very wide margin. So, if real wages aren't powering these fantastic price gains, then what is??? 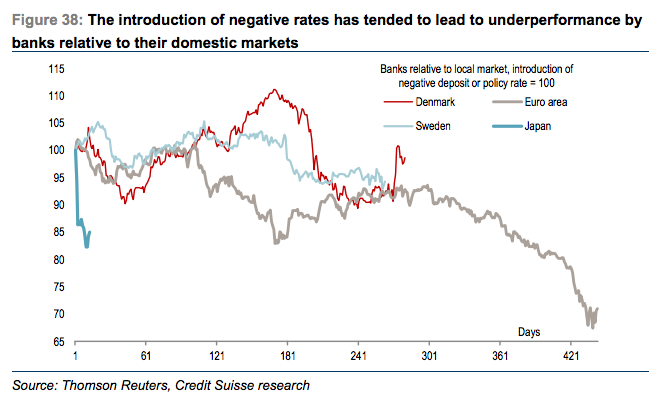 IF the ECB fails to perfectly juggle all of those negative interest rate balls simultaneously (unlikely) then DB will have a hell of a Bear Stearns/Lehman-like problem on its hands, as housing prices crash and DB's mortgage portfolio goes from 5% underwater (likely quite understated) to something like 30-40% underwater. There goes bank equity and here come bank bail-ins! The info below is taken from our DB subscription research (see Derivative Risk Exposure of Major Banks to Deutsche Bank). Those who are truly interest in this should purchase our DB counterparty research to see who we feel is the most profitable potential short in the sector. It can be found here -European Bank Contagion Assessment, Forensic Analysis & Valuation. We can break out the short only research for $500 fi you don't want to subscribe to the entire series. Americans are trained to know and to cherish the ideals of democracy and to believe in the American Dream which teaches most Americans that equal opportunity is here for all and that the chances for success for anyone lie within him/herself. None of us are taught to know and understand the American status system which is an important part of our American Dream and often makes the success story a brilliant reality. We all are trained in school to understand democratic ideals and principles and to believe in their fullest expression in American life, but we only learn by hard experience, often damaging to us, that some of the things we learned in early life exist only in our political ideals and are rarely found in the real world. We never learn these things in school, and no teacher teaches us the hard facts of our social-class system, and by extension, our capitalist class system. We posit that one should study the basic facts of our status system and learn them through systematic, explicit training which will teach at least the adult student much of what he/she needs to know about our status order, how it operates, how he/she fits into the system, and what he/she should do to improve their position or make their present one more tolerable. 2) Upward movement for those below them. Any which way one can look at it, mobility, at best, represents displacement and lesser access, less capital, less relative status. We are, in essence, the socio-economic mobility vendors. This model congeals basic materials about social class in America, identifies the multiple levels, and makes apparent the categories that can facilitate the movement from lower levels to higher ones, and vice versa. Its fundamental goals are to tell the reader (1) how to identify any class level, and (2) how to find the class level of any individual. Social class enters into almost every aspect of our lives, into marriage, family, business, government, work, and play. It is an important determinant of personality development and is a factor in the kind of skills, abilities, and intelligence an individual uses to solve his problems. Knowledge of what it is and how it works is necessary in working with school records and the files of personnel offices of business and industry. What a woman buys to furnish her house and clothe her family is highly controlled by her social-class values. Keeping up with the Joneses and proving "I'm just as good as anybody else," although fit subjects for the wit of cartoonists because these slogans touch the self-regard of all Americans, are grim expressions of the serious life of most American families. The house they live in, the neighborhood they choose to live in, and the friends they invite to their home, consciously, or more often unconsciously, demonstrate that class values help determine what things we select and what people we choose as our associates. This model provides a ready and easy means for anyone to equip him or herself with the basic knowledge of socio-economic class so that they can use this type of analysis whenever such factors are important in helping them to know a situation and adjust to it. I have used the model to help predict behavior in the investment real estate market, particularly the residential market in the NYC area where gentrification was rampant. It is now even more apropos, given the significant asset deflation, constriction and selective re-expansion of credit, and considerable shifting of wealth and resources within the US and worldwide. The businesses of those who make, sell, and advertise merchandise as diverse as houses and women's garments, magazines and motion pictures, or, for that matter, all other mass products and media of communication, are forever at the mercy of the status evaluations of their customers, for their products are not only items of utility for those who buy but powerful symbols of status and social class. This model, and the more detailed and sophisticated one that shall follow, can greatly aid them in measuring and understanding the human beings who make up their markets. Note: This model has been geared towards the NYC Metropolitan area, hence may need to be fine-tuned for dissimilar rural, suburban or non-US areas. The model has been built upon a modified version of the Index of Status Characteristics (I.S.C.). As you can see, wealth is the largest contributor to the class standing, and coincidentally it is the factor that is the most at risk in this current economic climate. I believe that there will be a significant entry into the upper middle class by those who were once firmly entrenched into the upper classes! While that may not seem like a big deal to many, it is damn big deal to those who are moving down the ladder. This also means, that there will be some space for others to move (relatively speaking) up the ladder. One man's (or woman's) misfortune is another's opportunity. I believe this blog can not only be used to insure and proof against downward mobility for those in the upper strata, but can also be used by those in the lower, middle and lower upper strata to rise upward a notch or even two. Social Mobility is the name of the game in times of severe dislocation - times like we will ikely be experiencing soon. Now, in term of wealth (not social class and influence, just wealth) we can split the upper strata into three different categories (there are only two above because of the other factors that come into play when social class or socioeconomic standing is taken into consideration). There is the poor wealthy, those guys and girls that are just a hair's breath from being pulled into the upper middle class strata due to marginal wealth. This would be the $1m to $10m net worth crowd, who rely on business profits, salary and investment returns for income. The next would be the middle strata of the wealthy, hailing between $10 t0 $100 million in Net Worth, and then there is the upper strata wealthy at above $100 million. Each of these three strata of wealth represent, in my opinion, distinct behavior tranches in terms of discretionary expenditures, investment, and politics and (what passes as, this is a story for another post) philanthropic activities. A trip to practically any decent sized yacht club or recreational vehicle port reveals the relatively stark differences in discretionary spending behavior. The first strata can be found in the 36 ft. to 68 ft. yacht docks (where a captain is optional, but not mandatory and you really don't need a crew). The second strata can be found 50 ft to 120 ft docks, where captains, crews and semi-custom fiberglass boats abound. The third strata are almost exclusively in the super yacht category, where the carrying cost alone for these (basically waste of money) fully custom built hulls and vehicles are about million a year to start with. You can also see the other social economic strata as well, upper middle class in the 20 to 35 ft boats, the middle and working class in the considerably smaller fishing boats - as opposed to the ultra fast Viking and Hatteras deep sea fishers, etc. It is an interesting and instructional study in social studies and anthropology just walking along your local docks! Once you are aware of how these things break down, you will see many settings in a different light. Many of those in the higher strata would not be there if they had to compete on a more level playing ground. Alas, elimination of said level playing ground is a goal of those in the upper strata. The problem with that is that such behavior is good for the individual in the upper strata, but bad for society in general for it prevents efficient utilization of human capital. Basically, the best people don't get to do the most things, because they are blocked by those of lesser capability but greater access - access to infrastructure and access to knowledge. Access our knowledge through our proprietary research, analysis and education courses. If one purchases our research (anything besides the introductory course) we will offer a 5x gold smart contract as a perk. Basically, we will give you a 5% rebate in the form of a Veritaseum smart contract that pays you the price of gold (or a gold index), levered 5x up to a stated maximum. This is a perfect way to both learn and get introduced into the new P2P capital markets and smart contracts. Hi Guys, We got a big position in 3m libor for the next 3 days. Can we please keep the lib or fixing at 5.39 for the next few days. It would really help. We do not want it to fix any higher than that. Tks a lot. On 16 April 2008, The Wall Street Journal released a controversial article, and later study, suggesting that some banks might have understated borrowing costs they reported for the Libor during the 2008 credit crunch that may have misled others about the financial position of these banks. In response, the BBA claimed that the Libor continued to be reliable even in times of financial crisis. Other authorities contradicted The Wall Street Journal article saying there was no evidence of manipulation. In its March 2008 Quarterly Review, the Bank for International Settlements stated that "available data do not support the hypothesis that contributor banks manipulated their quotes to profit from positions based on fixings." Further, in October 2008, the International Monetary Fund published its regular Global Financial Stability Review which also found that "Although the integrity of the U.S. dollar Libor-fixing process has been questioned by some market participants and the financial press, it appears that U.S. dollar Libor remains an accurate measure of a typical creditworthy bank's marginal cost of unsecured U.S. dollar term funding." A study by economists, Snider and Youle, in April 2010, however, corroborated the results of the earlierWall Street Journal study that the Libor submissions by some member banks were being understated.Unlike the earlier study, Snider and Youle suggested that the reason for understatement by member banks was not that the banks were trying to appear strong, especially during the financial crisis period of 2007 to 2008, but rather that the banks sought to make substantial profits on their large Libor interest-linked portfolios. For example, in the first quarter of 2009,Citigroup had interest rate swaps of notional value of $14.2 trillion, Bank of America had interest rate swaps of notional value of $49.7 trillion and JPMorgan Chase had interest rate swaps of notional value of $49.3 trillion. Given the large notional values, a small unhedged exposure to the Libor could generate large incentives to alter the overall Libor. In the first quarter of 2009, Citigroup for example reported that it would make that quarter $936 million in net interest revenue if interest rates would fall by .25 percentage points a quarter, and $1,935 million if they were to fall by 1 percentage point instantaneously. The Governor of the Bank of England, Mervyn King, by the end of 2008, described the Libor to the UK Parliament saying "It is in many ways the rate at which banks do not lend to each other, ...it is not a rate at which anyone is actually borrowing." The New York Federal Reserve chose to take no action against them at that time. Minutes by the Bank of England similarly indicated that the bank and its deputy governor Paul Tucker were also aware as early as November 2007 of industry concerns that the Libor rate was being under-reported. In one 2008 document, a Barclays employee told a New York Fed analyst, "We know that we're not posting an honest Libor, and yet we are doing it, because if we didn't do it, it draws unwanted attention on ourselves." The documents show that in early 2008, a memo written by then New York Fed President Tim Geithner to Bank of England chief Mervyn King looked into ways to "fix" Libor. While the released memos suggest that the New York Fed helped to identify problems related to Libor and press the relevant authorities in the UK to reform, there is no documentation that shows any evidence that Geithner's recommendations were acted upon or that the Fed tried to make sure that they were. In October 2008, several months after Geithner's memo to King, a Barclays employee told a New York Fed representative that Libor rates were still "absolute rubbish." Alas, as you see in the first graphic of this article, LiBOR is going up, and it's going up for real this time. Banks are paying practically nothing to depositors who are now forced to take the brunt of the risk that banks entail, while others taking the exact same risks are offered considerably higer rewards and payouts. We're talking the EU bail-in laws that put unsecured creditors on equal footing - that includes depositors. So, using our favorite healthy bank, DB, how would this play out of the smarter of our constituency decided to either be properly compensated for this risk or opted not to take it at all? Assets with maturity within 1 year or less held the major part of total financial assets of Deutsche bank. In 2014 & in 2015 it constituted more than 75% of total financial assets of Deutsche Bank. And assets on demand comprises more than 60% of total financial assets of Deutsche Bank. The total financial assets of Deutsche bank decreased by almost 90 billion euros from 2014 to 2015. Deutsche Bank’s financial assets designated at fair value through profit & loss reduced by almost 122 billion euros during the same period. Deutsche Bank’s Derivative assets also reduced by almost 115 billion euros. Among the total financial liabilities, on demand liabilities constituted almost 70% in both 2014 and 2015. And liabilities with maturity within 1 year or less comprises more than 90% of total liabilities. Deutsche Bank’s total financial liabilities increased by almost 75 billion euros from 2014 to 2015. Out of the total on demand liabilities dues to bank and customers both increased by almost 50 billion euros in aggregate during this period. Financial liabilities designated at fair value through profit & loss also increased from 2.6 billion euros in 2014 to 18.42 billion euros in 2015. This increase was mostly driven by increase of 16.2 billion euros in securities sold by Deutsche bank under repurchasing agreement. There's an imablance of about 3.5:1 of truly liquid, stable liabilities to truly liquid, stable assets. This means, if depositors really started withdrawing overnight and on demand deposits from DB, DB goes bye-bye! Why would this happen? Ask the ECB, the Fed and their Z/NIRP propensities. I'll close out with a video from everone's favorite old school investor, Warren Buffet. A full valuation, target price and forensic assessment of who we feel is the best short play out of DB's bank counterparties - Negative Interest Rate Come to More Banks (bank short play and valuation can be broken apart a al carte, upon request). We also have several novice stock valuation sessions coming online this week. The first is here - Introduction to Fundamental Stock Valuation. Subscribers to any of the advanced research get a Veritaseum-powered Deutsche Bank Short token. It will be funded with a nominal amount of BTC and will represent the short side of a Deutsche Bank bearish smart contract. The token will go up in value as DB goes down in value, and vice versa. We will offer you this token (as well as the Veritaseum client to observe it's movement in value) free of charge. This is an innovative way of showcasing the power and flexibility of the Veritaseum platform. Subscribe to our research to get started. Supply and configurations are limited (since we're paying for everything, there's no financial risk to the contracct recipient that we can think of). Samsung's Note 7 release has turned out to be an absolute fiasco. 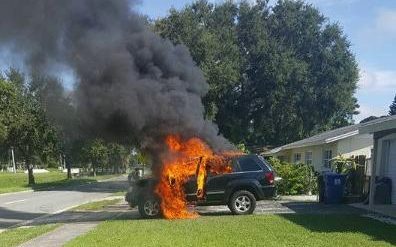 The latest incident is a Note 7 alleged to have exploded and set a Jeep on fire. This looks and sounds bad, and apparently has (or will) cost the company billions in recall expenses, reparations and replacements. Reputation risk is no small deal either. Let's face it, this looks very bad. It feels bad for investors as well, with billions of dollars of market cap disappearing. As bad as it may look, keep in mind the media is giving a less then comprehensive view of the situation. I have found roughly 35 to 40 incidences of burning or exploding Notes. If one were to divide that by the approximate amount of Note 7s sold (2.5 million), it would be roughly .0000148, or just over a thousandth of a percent. The number is not even great enough to determine that there is a problem with the Note 7 in particular. Alas, due to the social and mainstream media exposure, it has not choice but to recall. The FAA has banned use on airplanes (despite the fact you'd have similar odds of the airplane itself crashing). 've found just as many (possibly more) cases of iPhones catching aflame and exploding than that of the Note 7 with just a cursory search. The major difference between the Note 7 incidences and the iPhone incidences is that people were serverely injured in many of the iPhone occurences and Apple has (at least according to my cursory research) done very little to remedy this as compared to Samsungs respones. I would chalk this up to the Note 7 incidences getting much more exposure than the iPhone incidences. This is last month from an iPhone 6. A damaged iPhone that caught fire and burned through a man's jeans after it was bent in an accident. EDMONTON — Twice in the last week, an Alberta family has been forced to flee for their lives after a charging cell phone burst into flames, part of a rare worldwide phenomenon in which smartphones occasionally transform into tiny Presto logs. In Rimbey, Alta., 16-year-old Josh Schultz woke up surrounded by flames after his iPhone combusted in the middle of the night. The family managed to get the blaze under control, but not before Schulz had suffered third-degree burns, and the house had been rendered temporarily uninhabitable.Three days later, an Edmonton fourplex was evacuated in the wee hours of the morning after a charging cell phone began shooting out flames. A mother watched in horror as her son's pants went up in flames. She said his iPhone unexpectedly began to smoke and melt, causing first- and second-degree burns. NewsChannel 5 on Your Side has been following cases of exploding smart phones for months. While it's happened across the country, this is one of the first documented cases that's occurred in the St. Louis area. "We were panicking and freaking out. I'm like 'Oh my god, my son is on fire!'" said Michelle Terry of St. Peters. If you do a search, you can find dozens more, particularly surrounding the iPhone 6/6s series. It remans to be seen if Apple will get the negative publcity backlash that Samsung has recieved, but for some reason I doubt so. The Samsung affair was a strong opportunity to short the stock/ADR. If you missed that, we can wait around to see if the company that avoided the mistakes that Apple made and that Samsung unwisely followed. What mistake is that, do you ask? They both opted to seal in their potentially highly reacgive Lithium batteries, case of form over function. Apple should have been able to take advantage of Samsung's problems, but the iPhone 7 is just so far behind the Note 7 in terms of capability, they simple stand very, very little chance. As a matter of fact, sans a recall it's quite likely that the Galaxy Note 7 would have trumped the iPhone 7 Plus. Very recently, a compettor of both has announced a flagship device that likely puts the iPhone 7 plus to shame and gives the Note 7 a good run for its money. That company is LG.... and guess what? It has a removable battery and an all metal, aviation grade body. A removable battery design would have saved Samsung over $1.7B, since they could have sent out new batteries in instead of recalling all devices. Even Apple afficiandos are underwhelmed by the progress of Apple tech relative to Samsung's. While most have said the Note 7 is the best thint since sliced bread, not having it doesn't do anyone any good, and then there's that exploding thing. Similar to previous LG phones, the more I use it, the more I like it. Also, the longer I use the LG V20 with the Note 7 now returned to T-Mobile, the possibility that I go for the V20 rather than the Note 7 increases as well. Unlike the G5 and its modular system of third-party hardware add-ons, the LG V20 comes with a built-in quad-DAC made by ESS. LG reps made a swipe at the disappearing headphone jacks on some competitors—like Apple’s rumored iPhone 7 and Motorola’s Moto Z saying that the DAC can be used with high-end headphones to enjoy higher fidelity music. ESS reps in San Francisco informed me that the DAC on the V20 supplies enough power to power high-end headphones that traditionally would require an additional power source. When you load the V20 with uncompressed audio files, plugging a pair of headphones into the smartphone will give you a more high fidelity listening experience with the built-in DAC. For comparison, the modular DAC on LG’s G5 costs roughly $199, but the accessory isn’t even available for sale to date for US customers. LG also said during its keynote that for a limited time, the V20 will ship with earbuds from Bang & Olufsen. The V20 comes with three high fidelity microphones, which LG claims will record better sounding audio files and better videos. The microphones will help to reduce audio clipping in noisy environments, LG said during its presentation. This means that you can capture clip-free audio from concerts with studio quality-like recordings, according to an LG spokesperson. 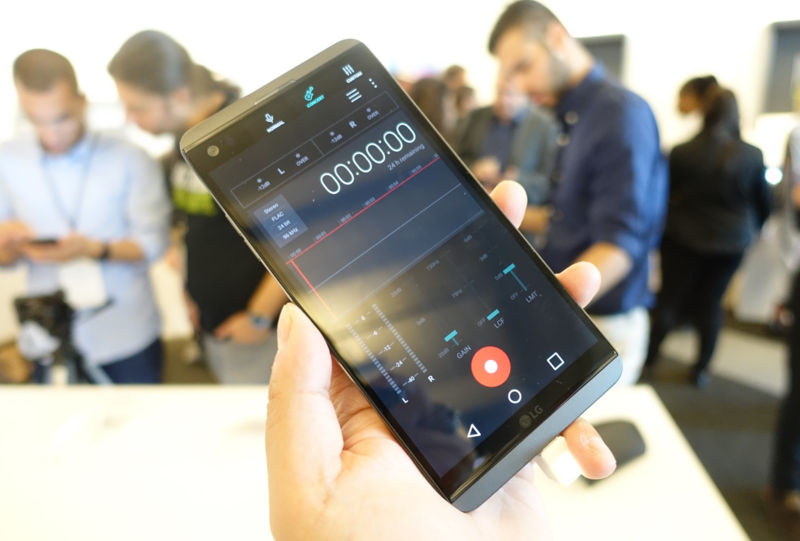 LG also included its Hi-Fi Audio capture app to allow you better control of your audio recording with more fine-tuned settings. Below is a Veritaseum Smart Cotnract allowing you to swap Samsung equity exposure (on the Korea Stock Exchange) for LG equity (KS) at 3x leverage (using a digital multiplier). No broker, risk or legacy stock exchange needed. No counterparty or credit risk to deal with. Following up on Deutsche Bank as Ground Zero?, I'd like to focus on the deteriorating credit metrics at Germany's largest bank. To be absolutely honest, an educatied consumer is the at odds with the bank's other stakeholders in this situation. Educated consumers, particularly those seeking safe, secure bank accounts and lending faciilities should be moving out of Deutshe bank right now. DB is far from safe and secure, particularly in relation to other destiniations. Remember, bank bail-ins are EU law now. European regulatory authorities can force these failing institutions to cancel or severely dilute shareholder equity or to cancel, write-down or convert unsecured liabilities to equity. Such regulatory action is referred to as a “bail-in.” Bank depositors (checking, savings, demand accounts) are investors as well, in the form of unsecured creditors. Most depositors still don't realize this (despite Icelandic bank depositors getting smashed). Depositors are the largest, one of the cheapest, and currently the most stable form of bank financing. ... Below is a chart excerpted from our most recent work showing the asset/liability funding mismatch of a bank detailed within the report. The actual name of the bank is not at issue here. What is at issue is what situation this bank has found itself in and why it is in said situation after both Lehman and Bear Stearns collapsed from the EXACT SAME PROBLEM! ... The problem then is the same as the European problem now, leveraging up to buy assets that have dropped precipitously in value and then lying about it until you cannot lie anymore. You see, the lies work on everybody but your counterparties - who actually want to see cash! ... The modern central banking system has proven resilient enough to fortify banks against depositor runs, as was recently exemplified in the recent depositor runs on UK, Irish, Portuguese and Greek banks – most of which received relatively little fanfare. Where the risk truly lies in today’s fiat/fractional reserve banking system is the run on counterparties. Today’s global fractional reserve bank get’s more financing from institutional counterparties than any other source save its short term depositors. In cases of the perception of extreme risk, these counterparties are prone to pull funding are request overcollateralization for said funding. This is what precipitated the collapse of Bear Stearns and Lehman Brothers, the pulling of liquidity by skittish counterparties, and the excessive capital/collateralization calls by other counterparties. Keep in mind that as some counterparties and/or depositors pull liquidity, covenants are tripped that often demand additional capital/collateral/ liquidity be put up by the remaining counterparties, thus daisy-chaining into a modern day run on the bank! The research and knowledge subscription module "European Bank Contagion Assessment, Forensic Analysis & Valuation" contains a full report of a very large European Deustche Bank counterparty that faces a full 27% downside from current levels. It appears as if no one suspects a clue. It also contains much, much more (including at least 3 to 5 suspect banks). We can break this apart a la carte, if requested. Wells Fargo was recently fined $185 million for opening over a million fake accounts and credit cards. This got a lot of attention in the media. It is our assention that Deustche Bank's situation is far more worthy of attention. Subscribe to European Bank Contagion Assessment, Forensic Analysis & Valuation to access our research on the Deutsche Bank counterparty that has a 27% potential downside near to medium term. It is one of the most thorough analyses of a bank that you are likely to ever have seen. Remember, we the guys to call Bear, Lehman, Countrywide and WaMu. So, If Deutsche Bank's Xetra-Gold Is Not Guilty of Fraud, Is It Guilty of False & Misleading Advertising (Blog)This is the 4th installment of our public service announcements on Deutsche Bank subsidiary, Xetra-Gold's gold note offerings. Since a lot has been covered already, it's advisable that you read the fir ...Created on 08 September 20162. The Debate on the Potential of Fraudulent Actions At Deutsche Bank Subsidiary, Xetra-Gold (Blog)Furthering the discussion of potential fraud at Deutsche Bank subsidiary Xetra-Gold, I enlisted the opinion of a legal professional versed in such matters. Please read on after reveiwing the previous two ...Created on 07 September 20163. Is Deutsche Bank Prepping for Fraud Charges Against It's Gold Derivative Products? (Blog)We have forensically picked apart Deutsche Bank in a way that no other entity ever has, likely including Deutsche Bank itself. While we may not know all of its secrets, we likely now know more than almost ...Created on 03 September 20164. Veritaseum Knowledge Exposes Frightening Counterparty Risk At Deutsche Bank for "Gold Investors" (Blog)... did. Reference this story from RT.com: Deutsche Bank refuses clients' demand for physical gold Clients of Germany’s biggest bank who have invested in the exchange-traded commodity Xetra-Gold are ...Created on 01 September 20165. How Deutsche Bank Can Destroy Europe (Blog)How can Deutsche Bank destroy the EU? 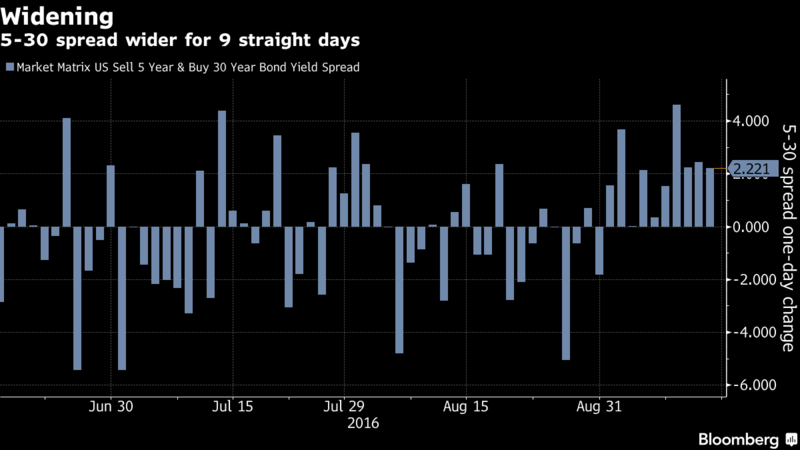 Capital fight and extreme, involuntary deleveraging. DB is closing nearly 200 German bank branches. Not a big deal, right? German bank's depositor base is 111% of Germa ...Created on 25 August 20166. Signs of Contagion Stress In Italy Are All Over The Place, Yet The Media Ignores It (Blog)... tion how unrealistic the Deutsche Bank reporting was, nor the derivative accounting of many banks that we noticed. Even more suspect is the ECB's silence. Those of you in the sell side blockchain spa ...Created on 24 August 20167. European Banks Crash EXACTLY AS WE FORECAST (Blog)ZeroHedge regports: From Deutsche Bank to Credit Suisse and from Barclays to Banco Popolare, the European banking system is getting battered this week with today's plunge the biggest in 4 months.. ...Created on 10 June 20168. The Next European Banking Crisis Looks to Be Upon Us (Blog)... over at Barclays, Credit Suisse, Deutsche Bank, and Standard Chartered. In the same year, Deutsche Bank lost a record (as in the most, ever) €6.8 billion ($7.6 billion). Europe’s banking barometer, the ...Created on 18 March 20169. The Grexit Into Gold-backed Drachma Conspiracy Theory - or - Plan Z (Blog)... de, according to Deutsche Bank. Economic depression within the European economy would ripple worldwide and slow global growth. Immediate economic fallout inside Greece The theory behind ...Created on 19 February 201510. My SEC Warning Regarding RBS Prescient As Biggest Loss Since Crisis on Mortgages Provision (Blog)... billion of mortgage-backed securities from 2005 to 2007, the lender said yesterday. It follows agreements Deutsche Bank AG, JPMorgan Chase & Co. and UBS AG (UBSN) struck with U.S. regulators to settle&nb ...Created on 30 January 201411. Veritaseum Knowledge Exposes Frightening Counterparty Risk At Deutsche Bank for "Gold Investors"
Is Deutsche Bank Prepping for Fraud Charges Against It's Gold Derivative Products? "Financial adverts and promotions can be misleading for many reasons, but there are some questions you can consider to help you spot and avoid misleading financial adverts, such as: ... Are there important points that are only shown in the small print?" Deutsche Bank, through it's Xetra-Gold subsidiary, has a guaranteed, zero premium call option. DB/Xetra-Gold accepts money from investors who are told they are buying gold, from “an economic perspective”. DB/Xetra-Gold takes money that was supposed to buy gold (at least in the eyes of many investors) and does whatever they want with it (which could include buying gold) because gold delivery on demand is not guaranteed and the investors have been disclaimed against ownership of, and rights to, the gold underlying as well as price correlation, and failure to deliver. If the price of gold goes up, DB/Xetra-Gold can fail to deliver (as disclaimed) and keep the capital gains profits. They don't even have to match the price of the gold underlying. or return the initial investment. If the price of gold goes down, DB can deliver gold on demand and keep the spread from gold spot and the price originally charged for the gold notes. This is good work, if you can get it, no? This is how a company like DB can have over 90% in profitable trading days, because they never had a chance of losing in the first place. The losses belong to their clients! This is speculation, of course (wink, wink). Now, legal eagles say that we can't scream fraud, because Deutsche clearly says they have the motivation to, and the ability to, rip you off in their prospectus (but not in their marketing materials). Misrepresentative, yes (accepting your definition of economic), and the marketing materials probably do in fact flout any number of laws against false advertising. But fraudulent, no. The essence of fraud is to falsely induce someone by words or acts into doing something against his interests that he wouldn't have done but for the dishonesty. Courts consider the totality of the circumstances. So while you would undoubtedly tear the economic investment statement to shreds, you'd still be left with the many other statements from the prospectus that are true, and herein lies the problem. The UK Fraud Act of 2006 is a criminal statute. So each element of the crime has to be proved beyond a reasonable doubt (or whatever the English equivalent burden of proof is). The first element of fraud by false representation under the Act is "dishonestly makes a false representation." The problem posed by the prospectus is that it would preclude a finding that DB acted dishonestly beyond a reasonable doubt. I mean, you've got one false (but arguably vague) statement vs. several clear-cut disclaimers that are accurate. The totality of the statements are perhaps half false and half true, but dishonest beyond a reasonable doubt? Fuhgetaboutit. DB played the game with all of its cards face up. Yeah, they contradicted each other, but they were damn sure visible to investors, who can claim they were misled only in a subjective (personal) sense, not in an objective way (which is how a judge would look at it). Now, if--in addition to the mktg mat's and the prospectus--you've got some Goldman-like behavior where DB took out massive insurance policies on the investments it sold and concealed them from the buyer, it's a totally different story." Hmmm... On that note, let's take a look at whether DB has been a net buyer or net seller of gold exposure. Remember, Goldman, sold MBS structures to clients and then took big short positions betting against their own clients, reference "Goldman 'bet against securities it sold to clients'. The subcommittee also released four internal Goldman Sachs emails. In one, says a subcommittee statement: "Goldman employees discussed the ups and downs of securities that were underwritten and sold by Goldman and tied to mortgages issued by Washington Mutual Bank's sub-prime lender, Long Beach Mortgage Company. Reporting the 'wipe-out' of one Long Beach security and the 'imminent' collapse of another as 'bad news' that would cost the firm $2.5m, a Goldman Sachs employee then reported the 'good news' – that the failure would bring the firm $5m from a bet it had placed against the very securities it had assembled and sold." Goldman is fighting to clear its name after the $1bn fraud charges brought by the US Securities and Exchange Commission last week, and wants the case settled in court. The movie, "The Big Short" dramatized this rather well. Deustche has been a net seller of foreign exchange risk, which includes (wait for it now, and guess....) gold! They probably were not cash sellers, but purchased swaps to reduce exposure, possibly along the parameters I mentioned above with the guaranteed, zero premium call option. If you enjoy this free analysis, there's much more where this came from as we pick apart many other banks in our paid research and knowledge modules. WE just finished a true forensic valuation (very extensive, and detailed analysis) of a very large European bank that led to a huge short recommendation. Subscribe here and pass the word. Our bank analyses have performed very well in 2016, with Banco Popular and Banco Popular Milano doing roughly 40% to 80% in theoretical returns (contingent on how the positions were taken). We have done an excellent job historically as well, calling the fall of Bear Stearns, Lehman, Countrywide, GGP, etc. If you think the free stuff is intense, you should see the stuff that we sell! ".... There’s no fraud here. At a minimum, fraud--including claims made under the UK Fraud Act of 2006--requires an affirmative misrepresentation or the concealment of a material fact. Neither is present here. The “harm” of DB’s failure to deliver physical gold is fully and repeatedly disclosed as a risk in the Xetra investment prospectus. In fact, the prospectus makes it explicitly clear—at least twice—that Xetra investors have the legal status of unsecured creditors (much like a bank’s depositors). It likewise states that Xetra “Notes are not backed by assets” at all. DB covered itself pretty well with the prospectus. I doubt that investors complaining of no delivery would even prevail on a claim for breach of contract, much less fraud. I excerpted and highlighted key pages from the prospectus showing disclosures of the many investment risks that appear in the first ~25 pp. of the prospectus. Hell, they even tell investors that their access to gold might be blocked by terrorists. As for the statement--"an investor is, from an economic point of view, invested in gold"--it's at worst puffery, which courts never put any stock in. Whatever that statement means, it can't mean--based on the many legal disclosures from the prospectus--that investors will be treated as secured creditors who entrusted physical gold to DB as a bailee." That's interesting. The marketing material states "an investor is, from an economic point of view, invested in gold" and that, from a factual perspective is in direct contravention to the statements in the prospectus... See below. I understand the point you have made, but if there is admittedly no correlation to the gold price, no ownership of gold, and no promise to be able to redeem for gold, there is no reasonably plausible or justifiable grounds to asset that someone is economically invested in gold. The delta between the marketing claims and the prospectus legal mumbo jumbo appears (to this layperson) to qualify for "an affirmative misrepresentation or the concealment of a material fact.". Can you walk me through how I am wrong? ... The phrase "from an economic point of view" is the kind of hopelessly vague qualifying language that lawyers added to inject uncertainty about what the sentence means. But even if that language weren't there, and the statement just said, "you're invested in gold," a claim for fraud still wouldn't work, imo. Why not? Because the disclosures in the prospectus expressly say that the investment is unsecured, isn't backed by gold, etc. DB, in other words, is disclosing in writing the exact risks that investors are now complaining of. By the same token, any contradiction between marketing materials and the investment prospectus is going to be resolved in favor of the latter. The prospectus is the controlling document, and in this case it is replete with disclosures that the investment is in no way tantamount to possession of physical gold. That fact is a killer for any fraud claim hinged on publicly available materials like a prospectus and marketing materials. Looked at another way, DB covered its bases by saying that both (X) and (negation of X) are true. A court looking at that will say, nothing about that is misleading; confusing, perhaps, but not deceitful, and deceit is the essence of fraud. There's one more disclosure that I didn't flag in the excerpt I sent last time (b/c I hadn't gotten to it yet). It's from the top of page 27 and made me almost fall out of my chair when I read it: "Deutsche Bank AG is not, in any way, obliged to protect the interests of the investors." DB's candor is just astonishing. So is the credulity of anyone investing with them. I see. My proclivity to deal in facts materially hampers my lawyering abilities. Now, let me put my argumentative hat on. If marketing materials are negatively contradicted by the prospectus then the marketing materials are fraudulent and misrepresentative, no? I'm with you on the point of DB disclosing in writing the exact risks that investors are now complaining of. That is only the case because the investors are complaining about the wrong thing. No matter how many disclaimers the prospectus puts in, if it blatantly contradicts the marketing material then the marketing material is misleading at best (I'm sure that's against some law) and fraudulent from a layman's perspective (which I fully admit means nothing). The bar for fraud in the UK is affirmative misrepresentation, and that is exactly what the marketing material is. Now, I also understand the qualifier "economic", but there is no plausible way to spin that as an investment while simultaneously stating that there is no price correlation, no underlying rights and no underlying ownership. Those are the three pillar of an "economic" investment if there is such a thing. I'm simply thinking out loud, but I really do feel if I were put on the stand as an expert witness to debunk the economic investment statement, facts will fly through flesh. ... i just found some US law that seems to corroborate your assertions re: marketing materials, but on 2nd glance, the economic investment statement was mentioned in the prospectus as well, which seems to nullify the protections that would have been provided in the US if the customers were qualified investors (which I don't believe they were) (and whose protections are downright silly). If UK law is similar, I guess it boils down to the supposed ambiguity of the terms (although as an investor, I don't find them to be ambiguous at all, they're just plain wrong!). "If marketing materials are negatively contradicted by the prospectus then the marketing materials are fraudulent and misrepresentative, no?